Teapots in many shades of green. 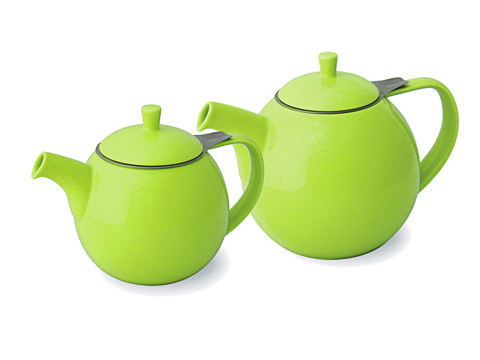 A collection of teapots in many shades of green from many manufacturers. Sizes range from 16 to 48 ounces. Choose the style that suits your taste. 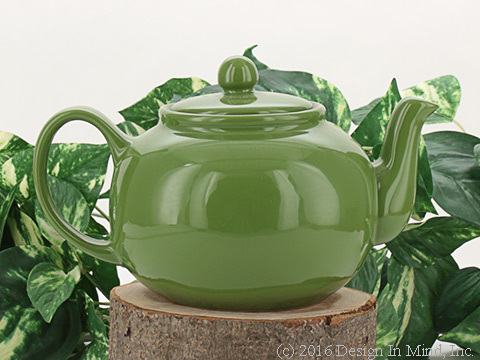 Rich forest green colored BeeHouse 22 oz teapot looks beautiful on it's own. How about some lovely green tea to infuse? Sounds refreshing. 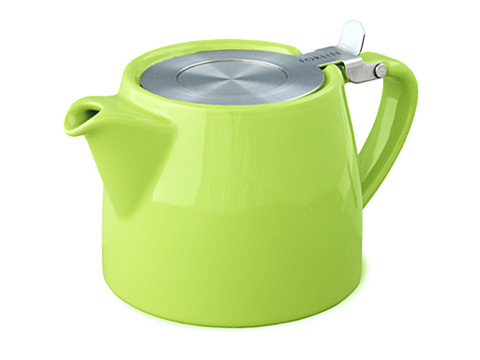 The Maxwell Williams Krinkle teapot is a great size for up to four people. It serves up 40 oz. (1.2L) of fresh brewed loose leaf tea, enough for 4 large mugs or 6 teacup size portions. The teapot takes a Large Size Tea Quilt tea cozy. We recommend size #3 or size #4 t-sac tea filters for this teapot. Boxed. Made in China.